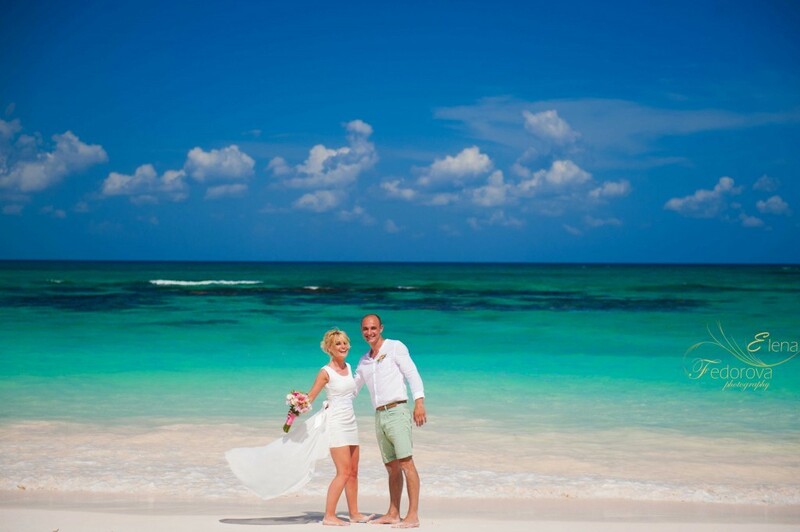 Home page → riviera maya weddings → Riviera Maya wedding. 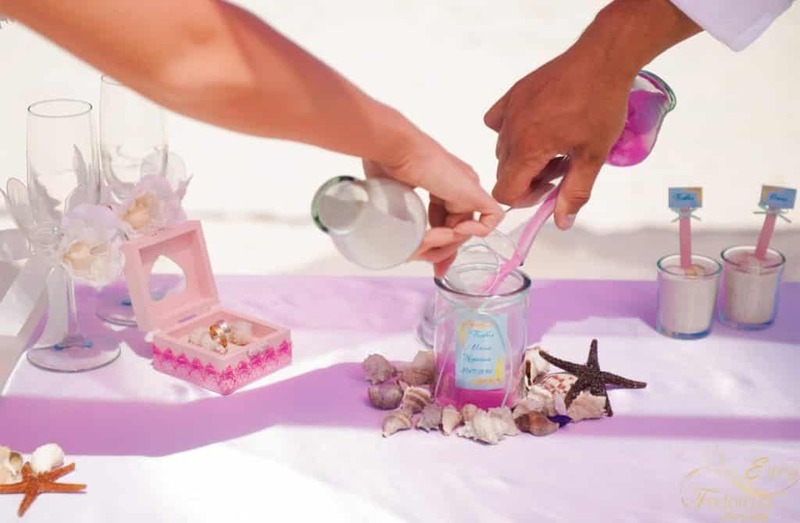 “It was our mutual and a little bit spontaneous decision to make a Riviera Maya wedding. How did it happen? 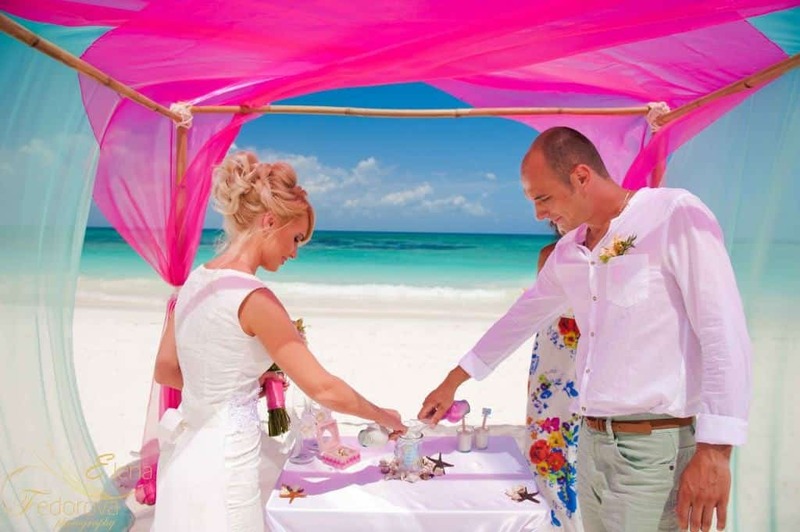 We wanted our wedding day to be bright, romantic and colorful and that ceremony would be held not in the building but somewhere in the beautiful nature surroundings. 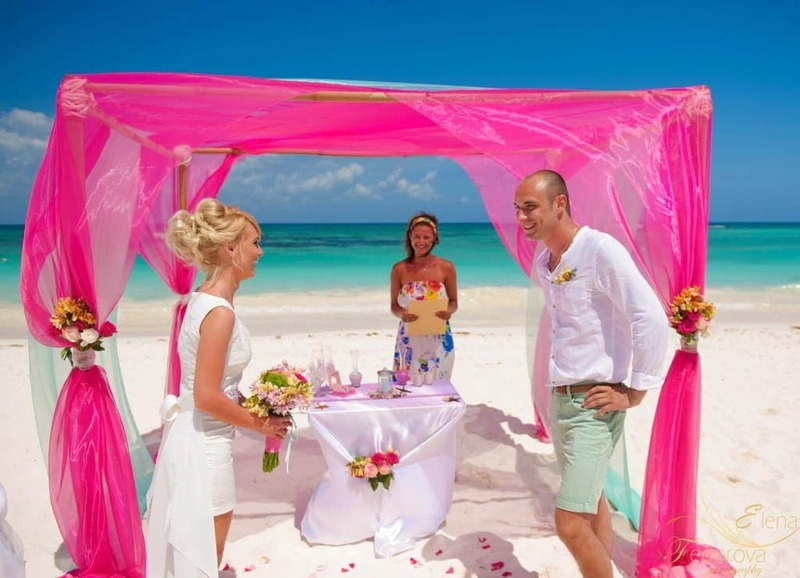 However we realized that there would be some difficulties with the natural surroundings because we planned to make a wedding on the 15 of February and in our native city it would be really cold. We didn’t want to change the date as it was very symbolic to us because we met 5 years ago on this exact day. 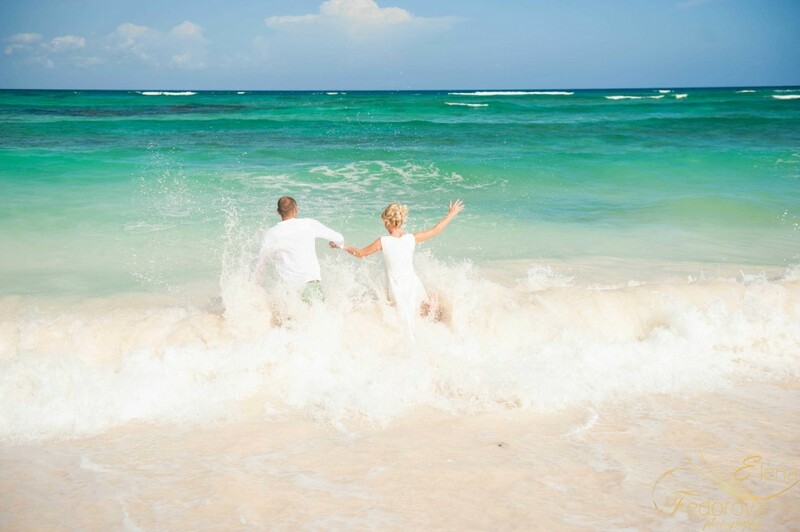 We found out about Riviera Maya from our friends that were having vacations there a year ago in the winter months and were absolutely excited about that coastline. 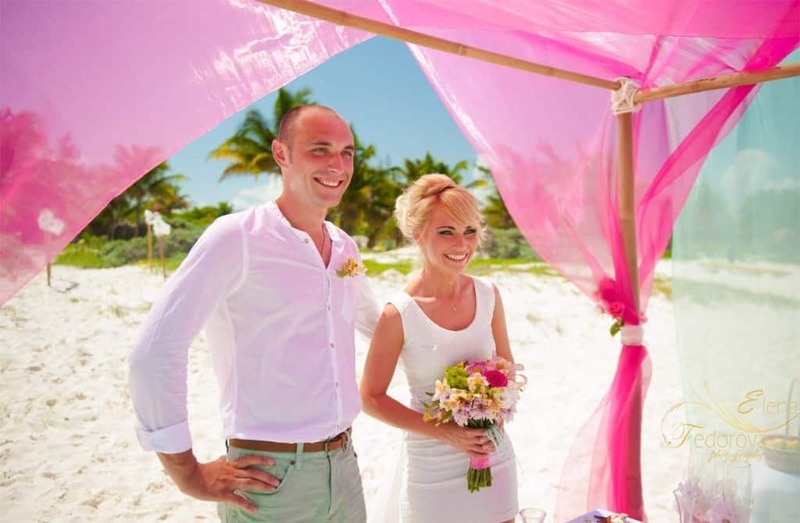 After thinking not for long we decided to make a Riviera Maya wedding. This place is well known for the amazing tropical nature and Caribbean Sea and besides that the weather is warm all year round. After we made a decision I started looking through all the wedding magazines and internet websites. 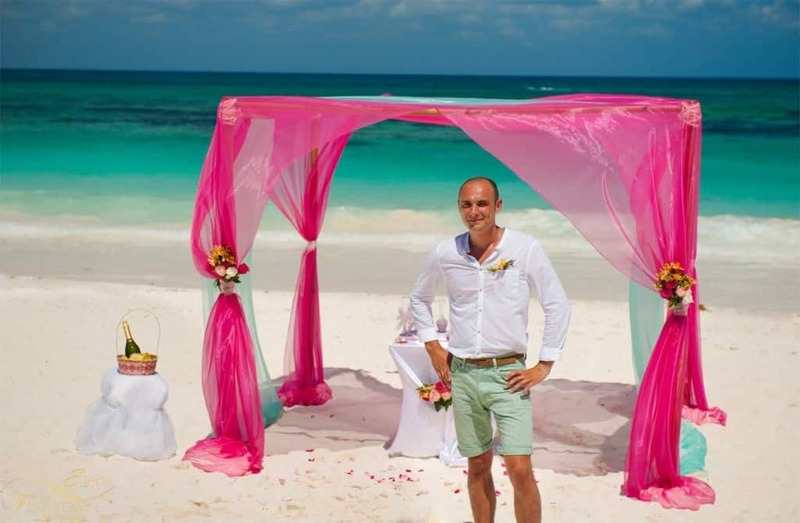 After several weeks I had a full picture of how I would like to see our wedding on the beach. 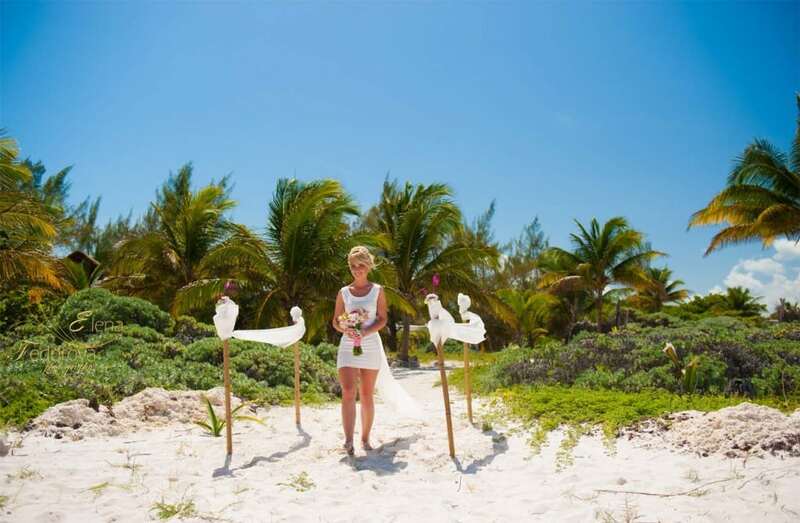 … With turquoise waters of the Caribbean, washing the boundless expanse of snow-white beaches and our wedding ceremony will be held somewhere in the middle of this magical place in the Riviera Maya. 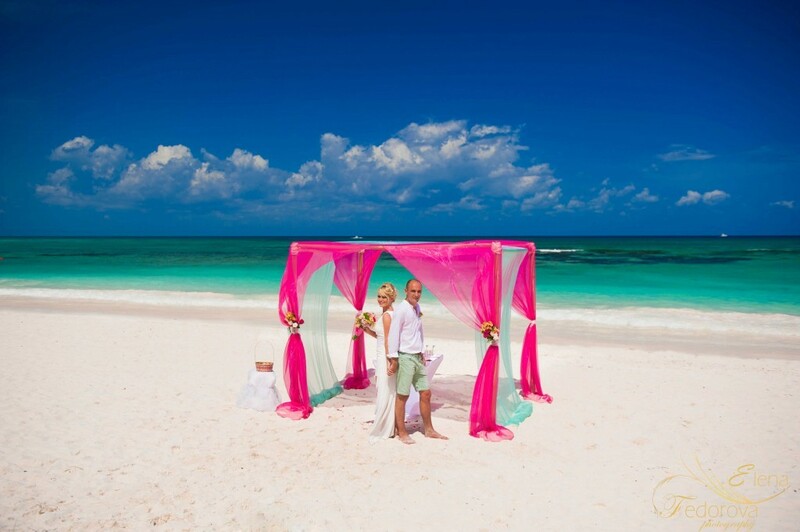 Wedding arch decorated with bright colors, harmonized with the perfect sea color. 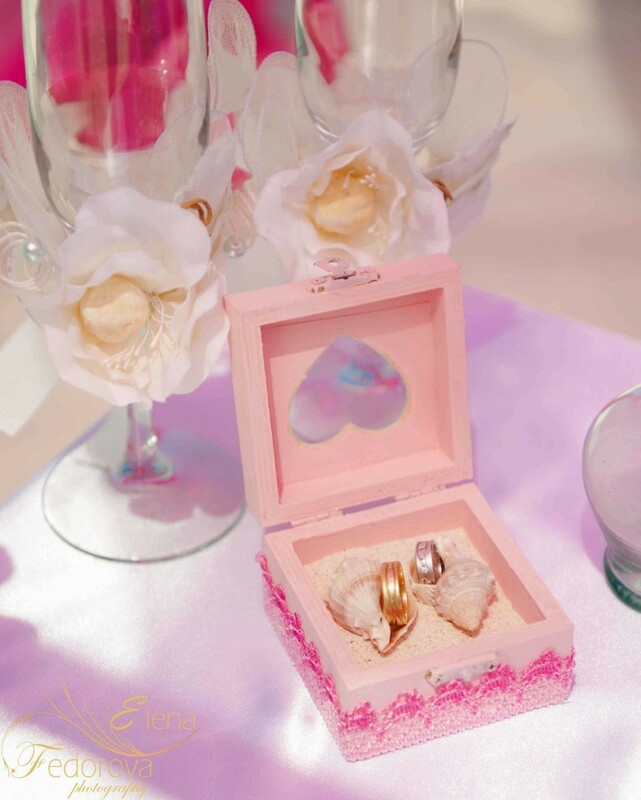 Soft music playing on the background and our wedding vows finishing with the most important phrase: “I DO”. ← Honeymoon photosession for Viktoria and Denis. Riviera Maya.